Congratulations to Eddie from New Canaan, CT! 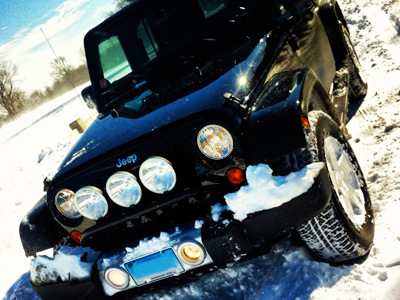 Eddie was voted (by the people) as winner of our Jeep Photo Contest for 2013 (QTR 1). He wins a JeepWorld.com Gift Card! 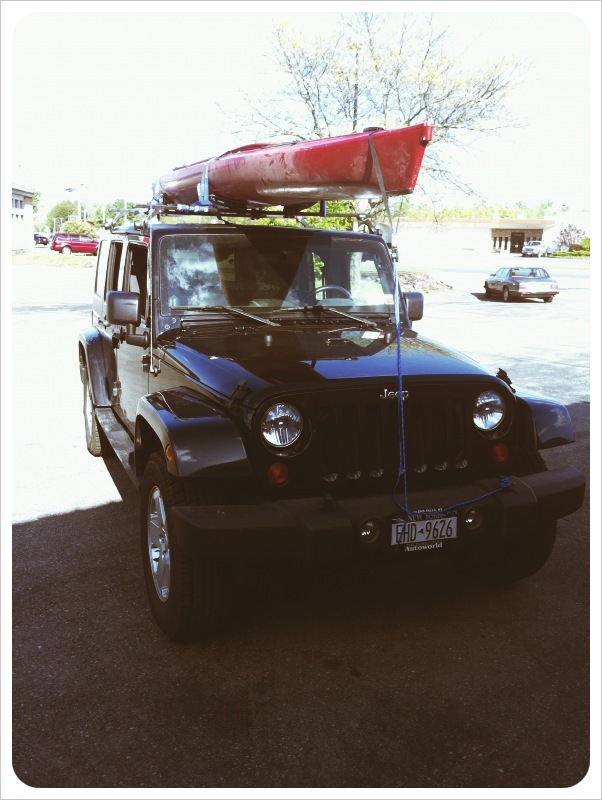 If you are interested in entering a photo of your Jeep click here. Congrats to Eddie & thank you for all of your entries! Mark your calenders! 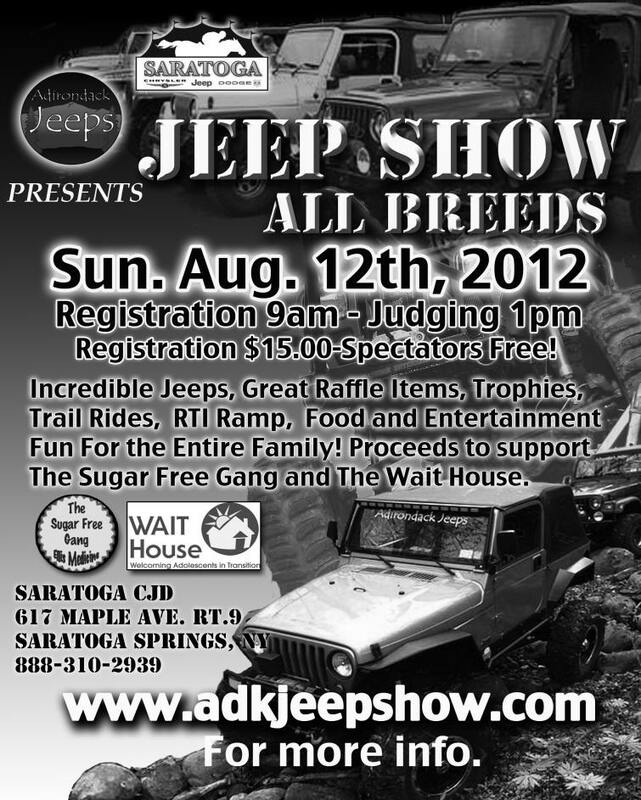 On August 12th 2012, our friends from Adirondack Jeeps and Saratoga Chrysler Jeep Dodge will be putting on their 3rd annual All-Breeds Jeep Show from 9am to 1pm. 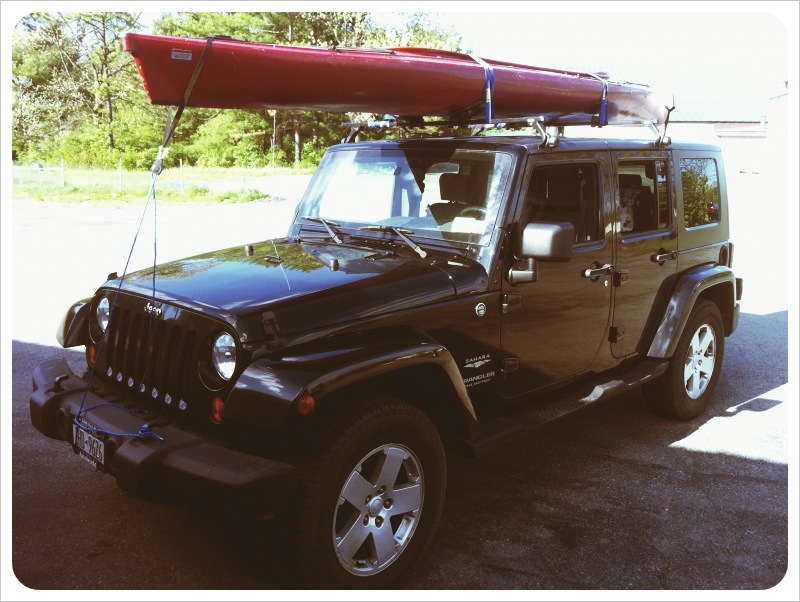 If you’re a Jeeper or lover of Jeeps in Upstate NY, Vermont, or Western Mass, make it a point to get to this one. It’s a fun, family friendly event with trail rides, all kinds of awesome Jeeps, an RTI ramp, a raffle with some incredible Jeep prizes (including some cool stuff from us), food and fun. This isn’t just a fun event, but proceeds will benefit The Sugar Free Gang and The Wait House which are great causes and help young people in our area immensely. Hope to see you all there! ATTN Video Game Nerds who love Jeeps! 2012 Call of Duty Edition! 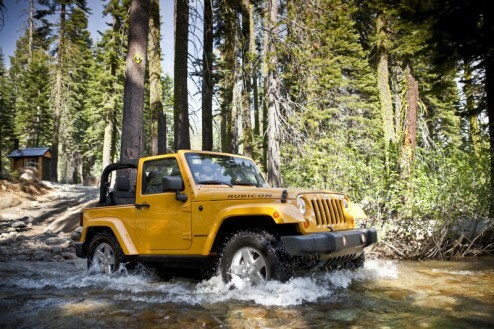 There’s also a great gallery of 2012 Jeep Wrangler Pictures available of Jeep’s Facebook Page. Our friends from Adirondack Jeeps (our local Jeep club) will be putting on their annual fundraiser and Jeep Show in a few weeks at Saratoga Chrysler Jeep Dodge in beautiful Saratoga Springs, NY. 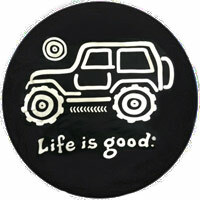 It’s always a great time with lots of cool Jeeps and Jeepers in a family-friendly setting. Come out and help raise a little money for charity and have a blast in the process! – Jeep Show with trophies for the top 5 Jeeps! 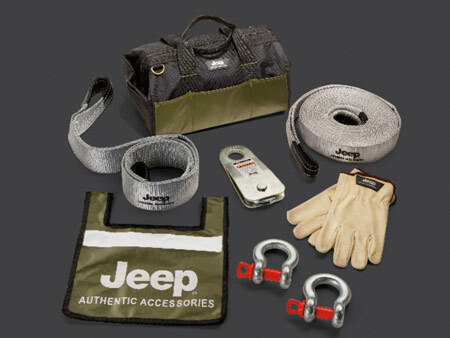 – Raffle with many Jeep and Jeep themed items! – Burgers and Dogs, Vendors, and a Bounce House for the kids! – Good Times all around! Registration begins at 9am. 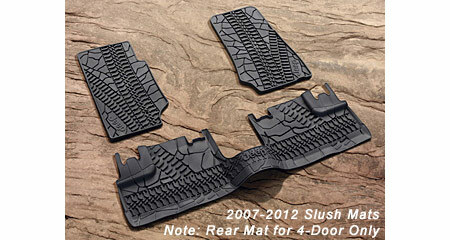 The 1st 50 registered Jeeps will receive a complimentary dash plaque and a meal coupon.